Bank owned, no short sale, Allow 2 Business Days for response. All Brick Home. Seller in process of cleaning up property, taking up carpet and refinishing all hardwood floors on main floor plus painting. Small crack in basement wall to be professionally repaired. Direction: Dixie Highway / Garrs Lane, Left on Eden to East Lane. Heatherfields is a subdivision within the city of Louisville, Kentucky. There are currently 0 Homes for Sale within Heatherfields, with asking prices ranging from $0 to $0. The average list price per square foot of the available inventory in Heatherfields is $0, which is the Louisville average of $155. The Average Sales price of all sold real estate in this subdivision for the past year is $134,973. Recent comparable homes have been selling for 98.42% of their asking price. Waterfront homes represent of the available Heatherfields inventory. The population of Louisville, according to the 2010 Census, is 597,337. The total number of households in the zip code of Heatherfields is 16,768, with an average household size for of 2.41 people. The total number of renter households within the zip code of 40216 is 5,527, which means that 67.04% of households in this zipcode are owner occupant households. 2136 East Ln, Louisville KY 40216 is a Home, with 3 bedrooms which is recently sold, it has 1,225 sqft, 0 sized lot, and 1 Car Garage,Attached,Driveway parking. A comparable Home, has 3 bedrooms and 2.5 baths, it was built in and is located at 4100 Burrell Dr Louisville KY 40216 and for sale by its owner at $ 169,900. 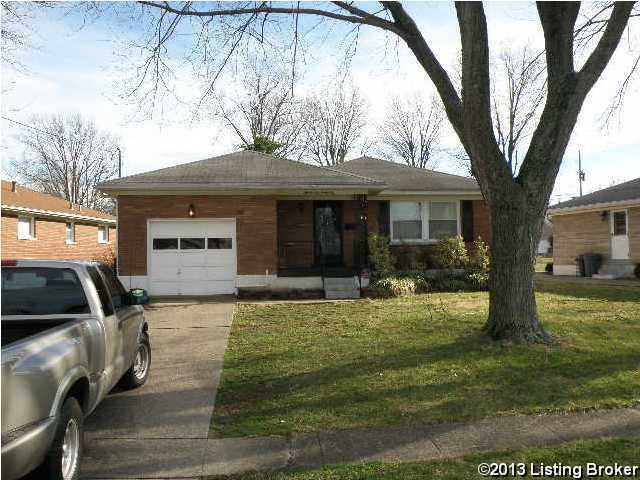 This home is located in the city of Louisville , in zip code 40216, this Jefferson County Home, it is in the HEATHERFIELDS Subdivision, and CLOVERLEAF are nearby neighborhoods.